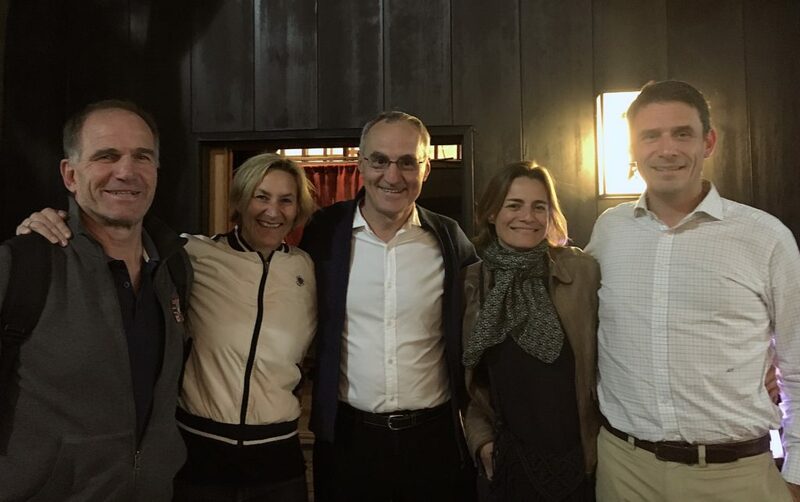 Mr. Thierry JANEZECQ, the coach of the Rugby 7s French National Team and former international player (from 1982 to 1990) had dinner with Bruno Leroy (President of the All France Rugby Club) and Romain PRECHEUR (director of the All France Rugby School) during his visit in Japan. This was a tremendous opportunity to exchange some ideas, and of course to listen to the good pieces of advice of Thierry for the rugby school we have just launched. 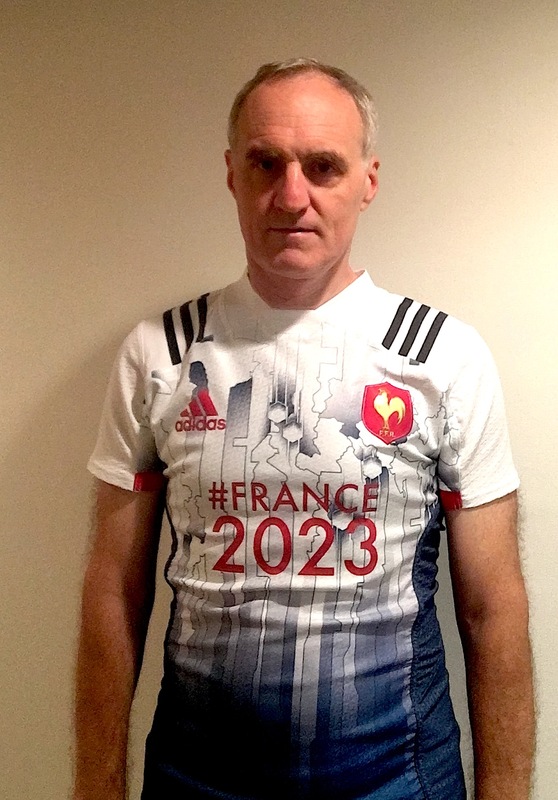 He also offered the club an official jersey of the French National Team! Next time such a great rugby celebrity comes to Japan, we will try to make them lead the training of our rugby school. What a great memory would that be for the kids and their parents! From left to right: Thierry JANEZECQ, Cathy JANEZECQ, Bruno LEROY, Marion PRECHEUR et Romain PRECHEUR.